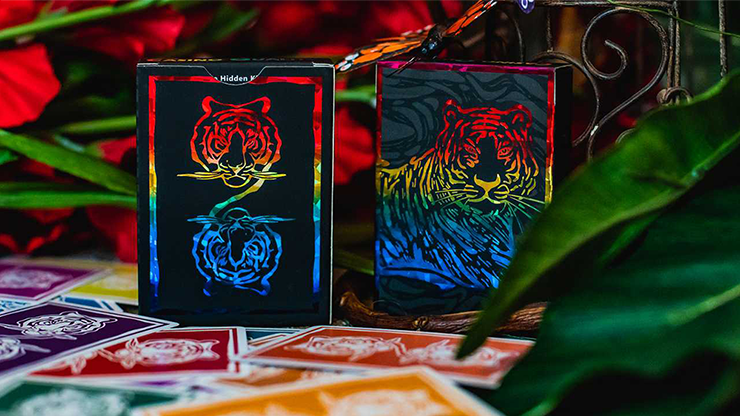 Today, when you order "The Hidden King Rainbow Luxury Edition Playing Cards by BOMBMAGIC", you'll instantly be emailed a Penguin Magic gift certificate. You can spend it on anything you like at Penguin, just like cash. Just complete your order as normal, and within seconds you'll get an email with your gift certificate. Order in the next 1 hour 59 minutes and it will ship TODAY! 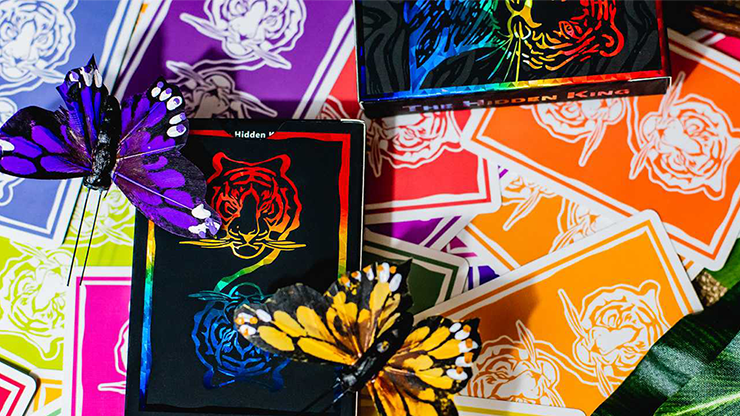 The Rainbow Edition utilizes a high-brightness printing technique that offers an incomparable rainbow coloring. 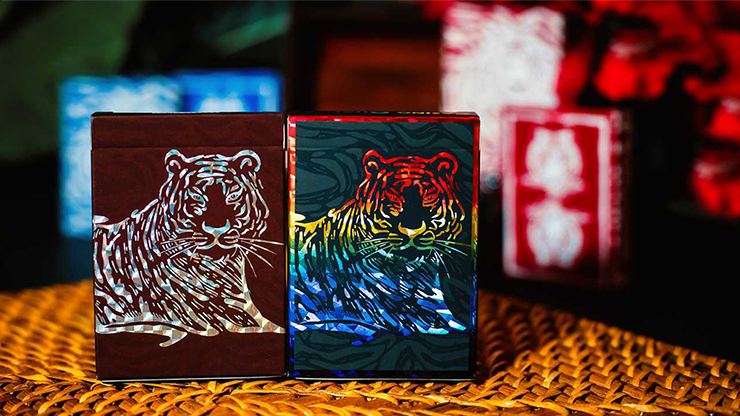 Its uniquely coated foil-printed surface and flapless underside on its tuck case are marvelous to behold. 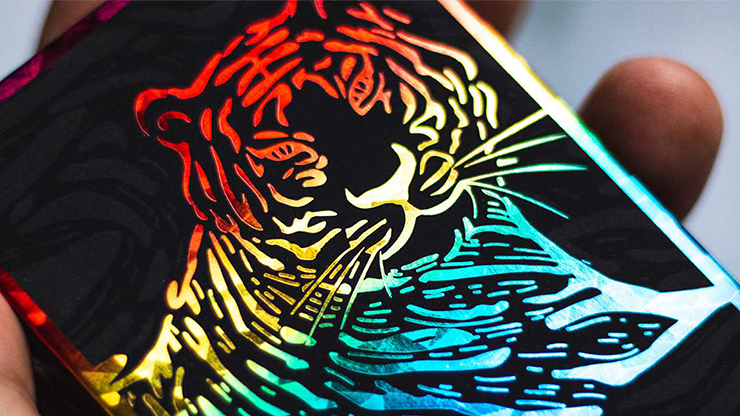 The Rainbow Edition cannot be printed by 54 plates for each single color. 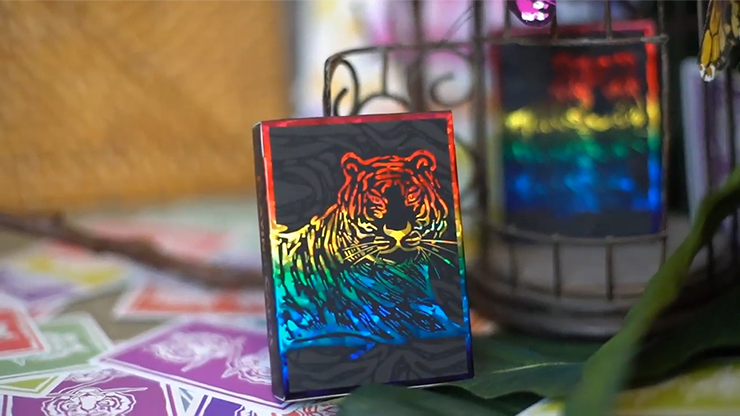 We needed to mix 4 colors by CMYK with print craftsmen in order to present the 54-card brightness spectrum coloring. This took us weeks of testing, over and over again, to make sure we could present full 54 colors correctly. 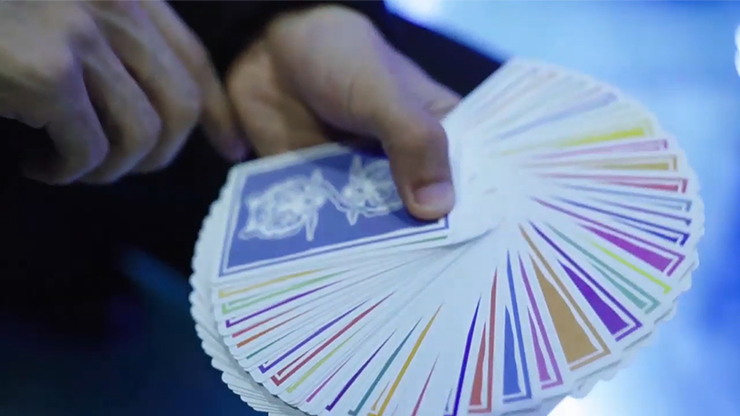 Now, we're proud to offer this beautiful deck after mass production. You will be amazed.